The Western Association of Summer Session Administrators (WASSA) awarded Fix a Flat Day! Best Marketing Idea at the 69th annual WASSA Conference earlier this month. 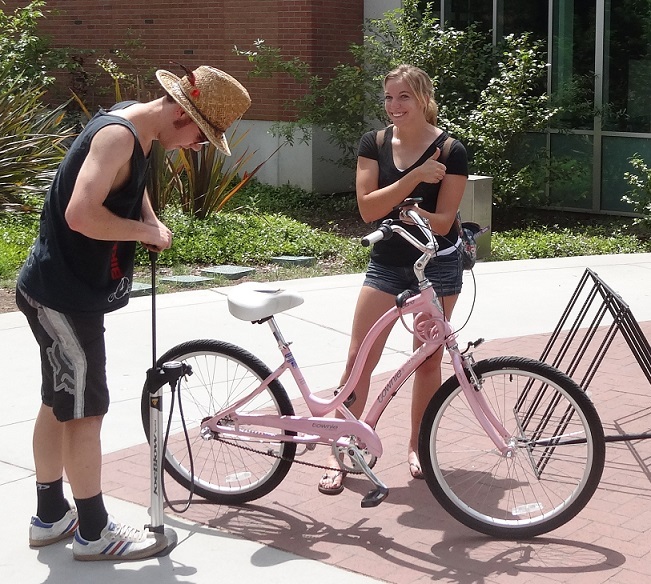 During the spring semester, Summer Session sponsors an annual Fix a Flat Day, a sustainability event that provides free bike flat repair for students, faculty and staff through the Associated Students Bike Cart. Fix a Flat Day activities promote Summer Session while actively supporting the University’s strategic priority in sustainability. Thanks to great work of the Bike Cart mechanics, 222 flat tires have been repaired since 2013, allowing more than 200 students, faculty and staff an opportunity to get their bikes back on the road for free.